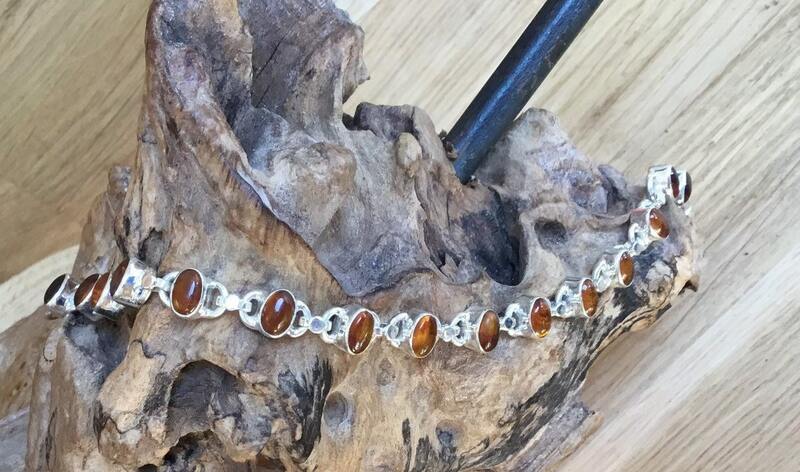 Oval Cabochons of Amber Offset into a Heavy Sterling Silver Setting. 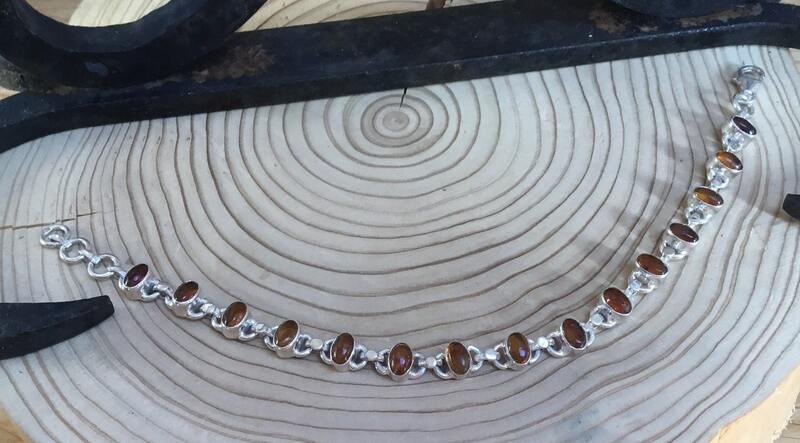 Each piece of Amber measures 6 mm x 4 mm and Links 10 mm x 7 mm. 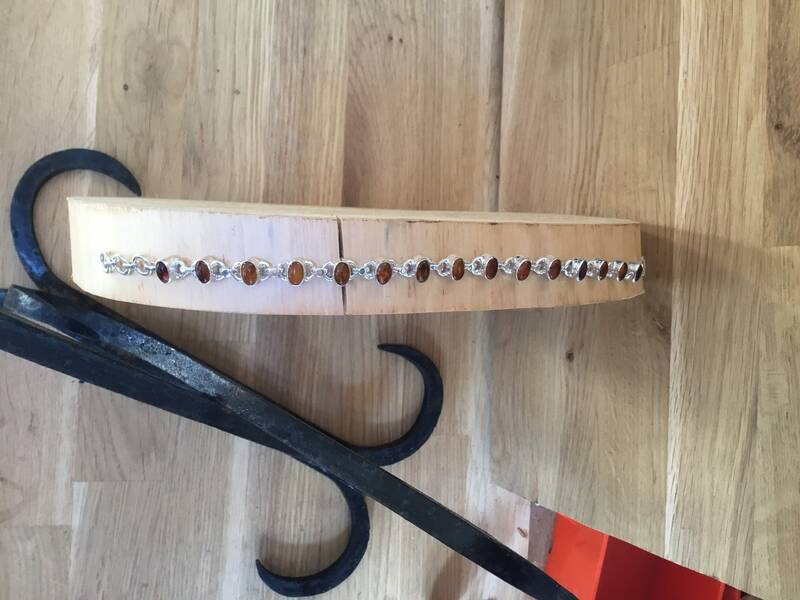 The Bracelet Measures 8 Inches Long Inclusive of The Three Chain Links For Adjustment. 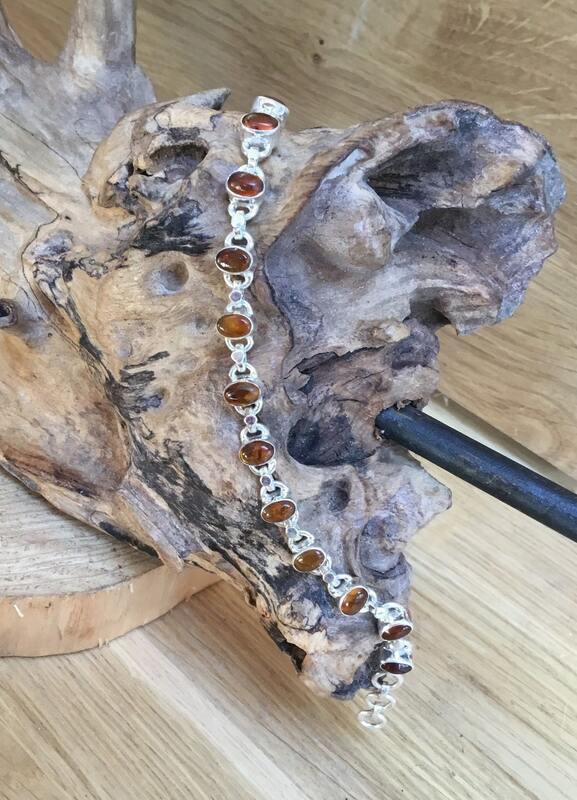 With That period in Time Amber Has Become Invaluably Collectable Within Not Just The Scientific standpoint Also Collectors. 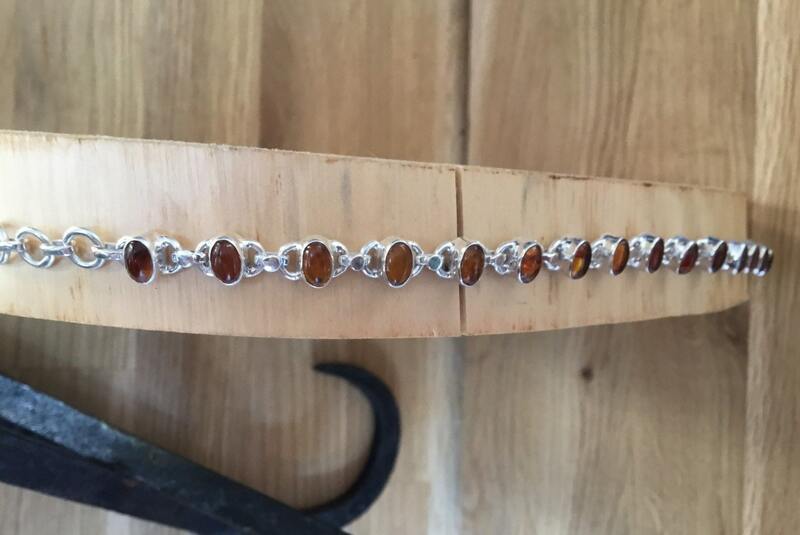 In The Modern World We Now Owe The Continuing Upward Visibility and Demand for Amber to Some Extent to the Internet.